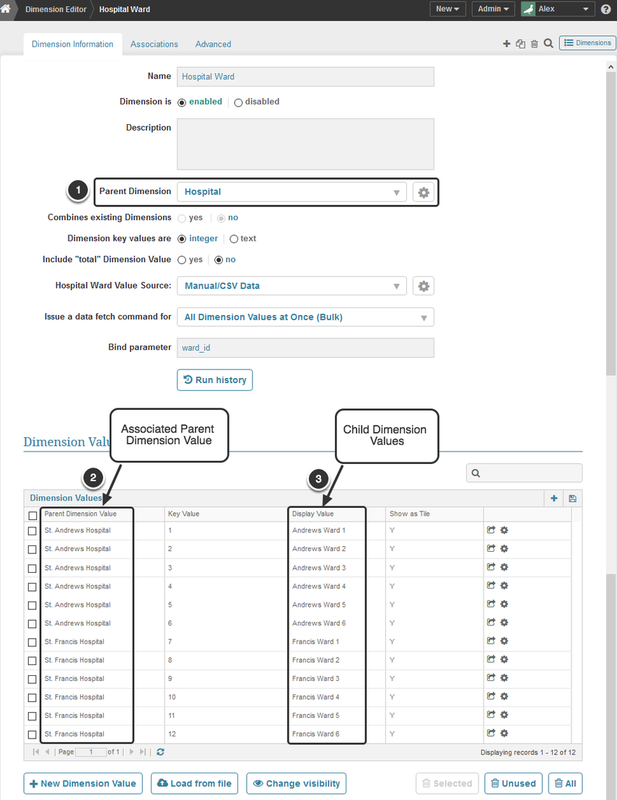 If you select Inherited from Parent, individual Child Dimension Values cannot be assigned. 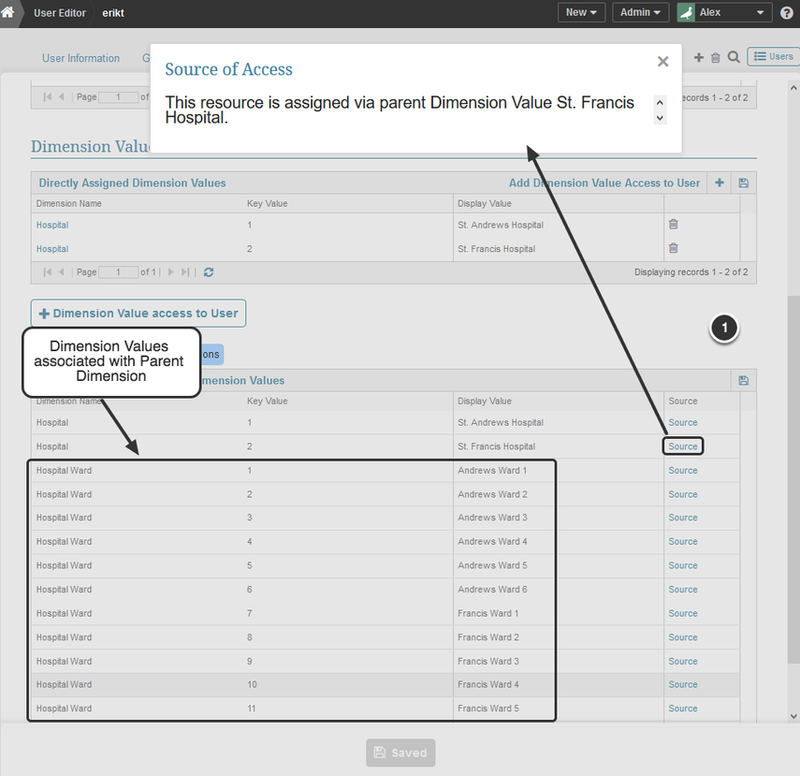 In the example below, the User's access is limited to those Child Dimension Values that have the one of the two Parent Dimension Values to which the user has been granted access. 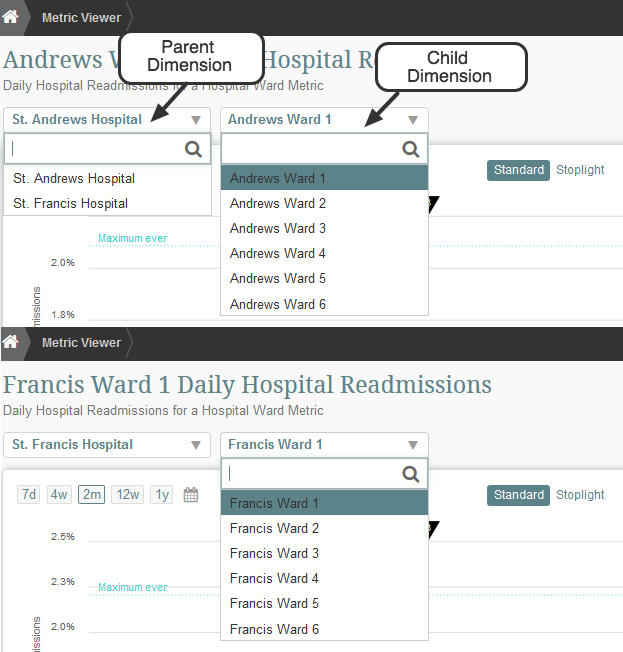 The user can view Metric Charts ONLY for those with Child Dimension Values that have the Parents that the User has permission to view. NOTE: The format of the Dimension Editor may be slightly different in each version. 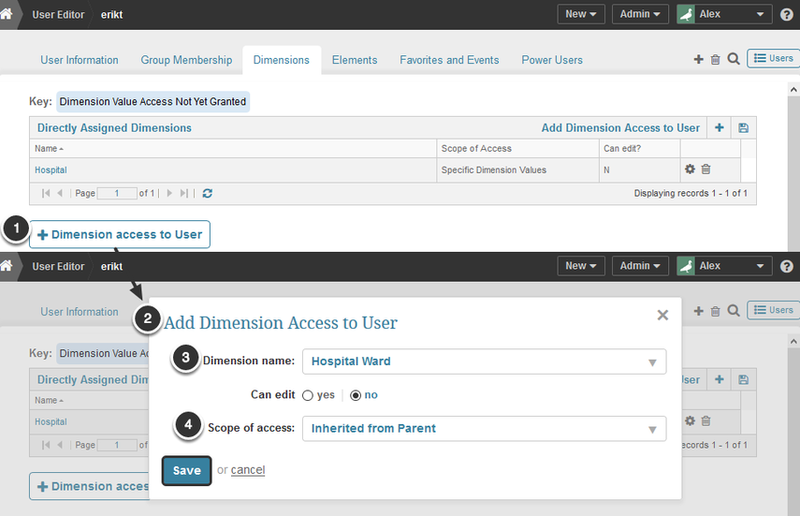 Make sure that the User has access to a Parent Dimension and to 'All' or 'Specific' Dimension Values.